Having problems with your Colorcamm snapping or breaking ribbons? 1. Clean the head.. Often. 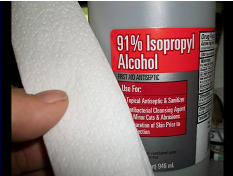 There is a cleaning tool but I found that a bottle of 91% rubbing alcohol and a roll of kitchen paper towels does the trick best. Fold the papertowel, wet it then slip it under the print head holding it like a buffing rag that the old-timers used to shine shoes.. Remember those.. it's the same concept but you're looping the towel under the head and over top of the foam pressure roller (keep the towel off that) The only difference is you are buffing upwards whereas an ole timer shoe shine boy would have a polishing towel over the shoe as he paddles his hands down left down right, kind of thing. 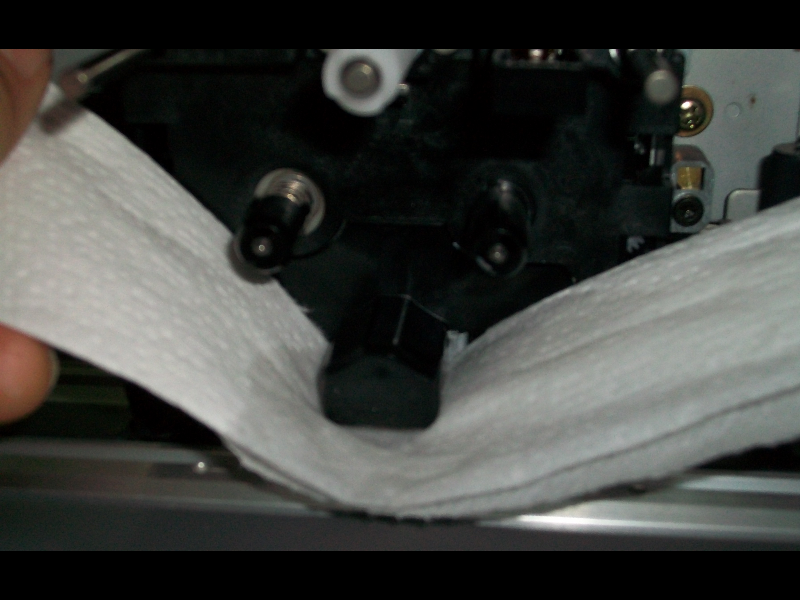 The Colorcamm quickly gets a film on it from the constant dragging over the resin ribbon backside. 2. The dark colored platform that is on the base of the print path. Look at it closely. You will notice is is actually floating.. it's not attached to the base of the printer but rides above it. It's must still be springy. Tap it with your finger. it should pop down about 1/64th of an inch. If not, it can cause snapping and head damage. 3. Clean your vinyl. 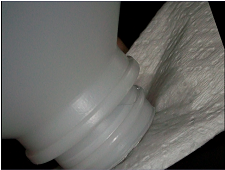 Don't assume that freshly off a roll is the same as contaminant free. Always clean your vinyl before you put it in the machine. 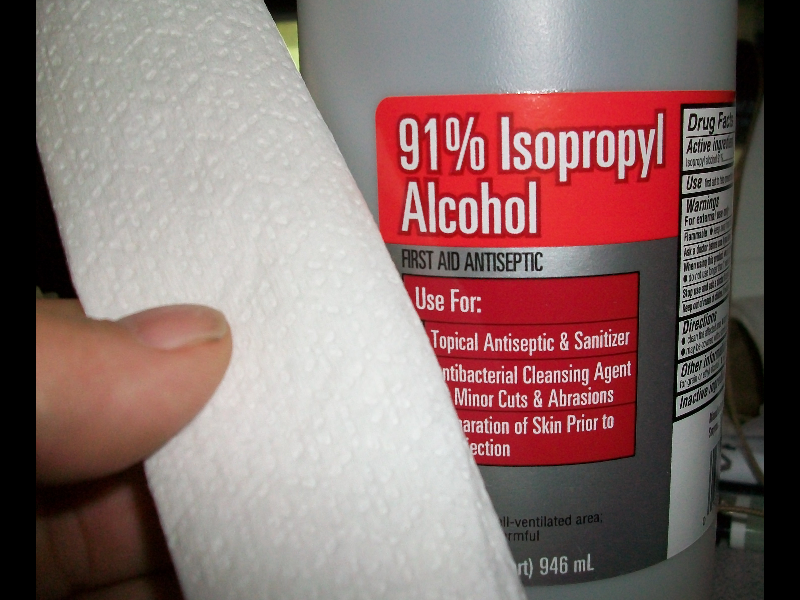 I use the same 91% alcohol (not the 80someting percent). Then I let it fully dry. 4. Mark your cassettes that have a break. You will find that some of them are frequent ribbon snappers, especially after being refilled over and over again. To the eye they may look perfect but there is an issue with them in some cases.. set them aside and try another cartridge. 5. Slap your ribbon cartridge flatly on the table. bottom side once then flip over so that the word Roland is the last thing to be slapped on the table. Sounds silly, right? This will flatten your spool roll. When a refill ribbon is cut the side view is perfectly level. the stack of laps are perfectly edge to edge. By the time it finally gets installed in your cartridge there's no guarantee it will still be level stacked. 6. Hand wind your take-up spool and examine the ribbon. 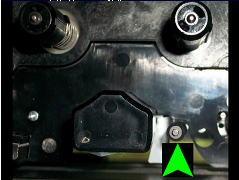 If you see any buckling, waves, or stressed edges, the ribbon is not feeding correctly. When you hand wind the take up spool the ribbon should appear perfectly saddled in the print well and there should be no sign of mis-feeding. 7. Look at the cartridge top. If you see any point that the top is not completely seated on the base, then it's assembled with a glitch and this will break your ribbons. Often you will see one side just slightly sitting above the base. If you see this, and you can't reload the ribbon where it lays flat, toss the cartridge. If you still have snapping of the ribbon, find the place where it snapped. The evidence is there that tells you what broke it. If you find it snapped in a printed spot, then it's possible your head is generating too much heat. If you find it snapped in an un-printed spot, you should think in terms that it's not the ribbon, but one of the items above. For your own amusement, next time you pull a ribbon to refill it, find an un-printed spot and go ahead and pull the ribbon apart. I think you will be surprised at how much effort it takes to hand break a ribbon. It might get you thinking to look at other causes of snapping. AVOID GETTING ALCOHOL ON THIS FOAM WHEEL!